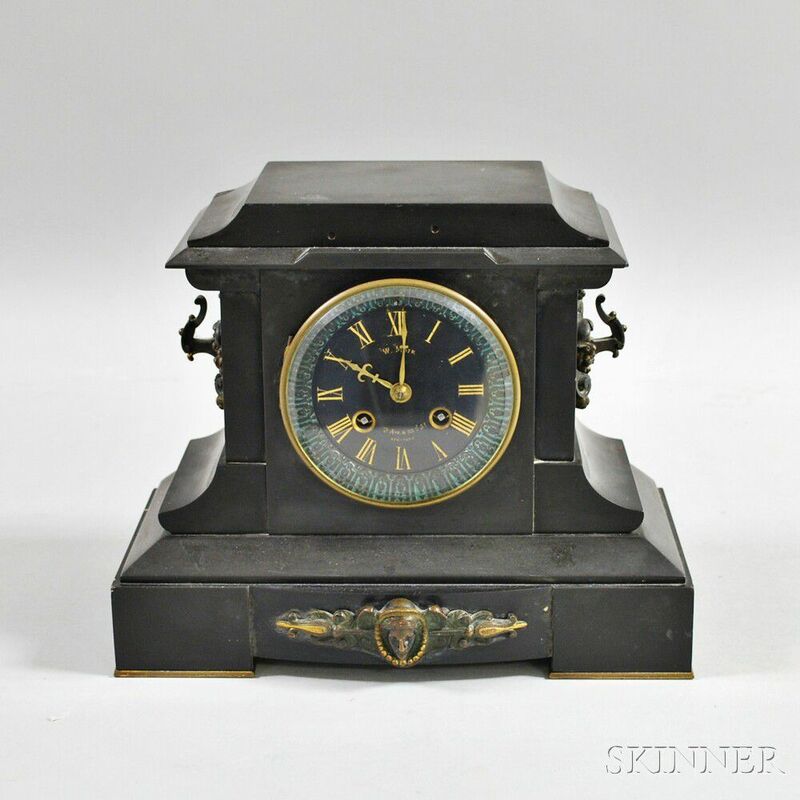 Belgian Black Slate Mantel Clock, c. 1890, retailed by W. Moir, New York, flat-top case mounted with bronze accents, black 3 1/2-in. 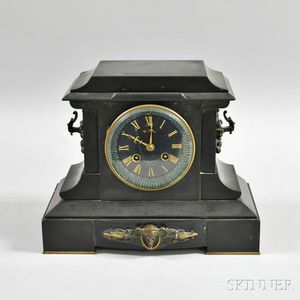 Roman numeral dial marked "W. Moir, 6th Ave. & 23d St., New York," heavy beveled glass in bezel, eight-day time and strike movement regulated by a pendulum, ht. 9 in. Two holes, possibly for former presentation plate, and repaired chip in top. Movement ticks and strikes but in need of cleaning.